Fact: anybody who has a talking voice can learn how to have a singing voice. But there are several factors to consider when learning how to sing. There are also many aspects that need to be addressed so you can be a good singer. If you want to know how to learn how to sing. Read on to find out how you can become a good singer in this article. People who sing with their talking voices will have difficulty learning how to sing, according to The Penn State School of Music’s Professor of Music Education and Chair of the Music Education Graduate Program Joanne Rutkowski, because people speak in a limited and lower range while a singing voice is typically higher than a speaking voice. But this doesn’t mean you cannot sing, however. According to Rutkowski, knowing how to sing using your singing voice will not give you an instant pass to audition for “America’s Got Talent” or “American Idol” because not all of us have fabulous singing voices. Given that the voice has been trained to sing, there is still the factor of singing with good intonation, something that is dependent on musical aptitude and achievement. Still according to Rutkowski, singing, like several other skills, is easier taught to children than to adults. And the earlier singing is taught, the better because the longer that someone tries singing using his/her speaking voice, the harder it becomes to break the habit. Whatever your age, though, you can always take voice lessons to learn how to sing. 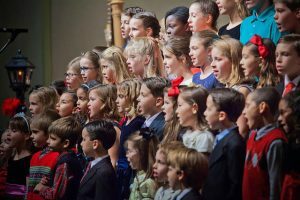 There are as many factors of good singing considered by as many singing coaches or instructors but the basics of learning to sing remain posture, breathing, and diction. As soon as you have gained mastery of these skills, you can sing just about any song of whatever genre you choose. Let’s begin by looking at your posture because there is a correct way to stand when you sing. The first thing that your audience will notice even before you sing is your posture. Your mother may have always told you that you should stand straight and she was right. We all know what proper posture looks like but do you know how to do it? You stand up as straight and tall as you possibly can with your feet flat on the floor. Raise your arms like you’re reaching for the sky as high up as you possibly can above your head. Then allow your arms to fall slowly and gently back to your sides and leave your chest and back to the position they are in. This is what proper posture looks like and what yours should be when you start learning how to become a real singer. If you still didn’t know, a proper posture ensures that you breathe properly while you sing. So now you know that there is also a proper way of breathing when you start to learn to sing. Air moves throughout your chest, neck, stomach, torso, and back when you sing the lyrics of a song; this why you should learn how to breathe from the diaphragm. The diaphragm is located in the stomach area, a muscle that powers the breathing while a singer performs. Singers like Michael Bolton, Barbra Streisand, and Celine Dion, who all have very powerful voices that can hit high notes with such intensity, sing from their diaphragms. Practicing how to breathe from your diaphragm will make it easy when you begin lessons on how to learn to sing. Breathing from your diaphragm will require you to inhale slowly without your chest heaving up. You then exhale slowly so your stomach can move inward. Remember: your stomach’s movement must be outward every time you inhale and inward every time you exhale. This may be difficult at first but practice it consistently enough and it will soon become like second nature for you. There are two meanings of the word “diction,” namely: the choice of words or phraseology and the clarity of how words are pronounced. You obviously can’t choose the words or lyrics of the songs you will sing since these have already been written (or published and/or performed). But you can choose how to sing these lyrics, pronouncing them properly makes for a good vocal performance. Slow down: a lot of people talk too fast for comfort and some singers sing in the same way. Slow down and take the time to pronounce your song’s lyrics correctly. You know you have a proper diction when you can hear the first and last letters of your song’s lyrics. Additionally, your diction should enable you to understand what the first and last words are of your song’s lyrics. Practice saying the lyrics of the song correctly before you sing it in front of an audience. Practice makes perfect and diction is one of those things that need perfection if you want to know how to sing better. To sound well as a singer, you should have solid support for all the fundamentals of good singing to enable you to produce clear notes that don’t waver. This means you have the necessary combination of the proper posture, proper breathing techniques, and what is known as the overall voice sound, a.k.a. good vocal tone. Here are the qualities to have for you to become a good singer. This includes the vowels sustained in the lyrics and the characteristic sound or timbre of the singer’s voice. Is your voice light or is it heavy, is it narrow or broad? Having a good tone means you also have vocal control, meaning you stay on pitch and sing notes accurately instead of singing in a wrong key or, worse, wandering off on the wrong key. You know you have good control of your voice if you are able to sing each note in a distinctive manner and handle the leaps in notes precisely, neither jumping not far enough nor too far from the pitch. A good singer performs his/her song at the exact volume. A poorly-trained singer will either sing too quietly to be heard or blast out at every note. Sounding excellent for several notes and then terrible afterward will earn you a bad reputation as a singer. Consistency is a requirement for singing well. This translates to singing in the good voice you started with throughout the song. It requires your consistent volume, vocal, support and vocal tone all the time. A singer holds an audience captive if he/she sings with consistency. Hearing and checking your pitch. Adjusting your voice tone while singing. Making sure that your volume keeps its balance with your music. Hearing your fellow singers or band members – if you are singing as part of a group or an act – to complement their own singing. Developing an overall musicality by having musical awareness. Training your ears in active listening while performing. Knowing your vocal range is as important as staying within it. You can always tell an inferior singer because he/she reaches for notes well beyond his/her range which results in flat notes, strained sounds, and cracked voices. 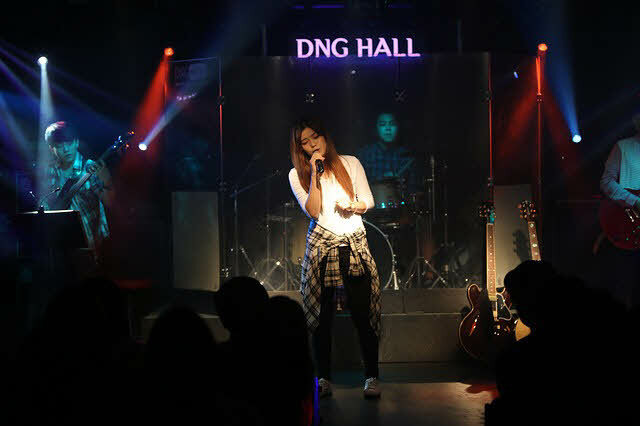 A singer who does this frequently will end up damaging his/her vocal cords eventually and find it more difficult to sing even the notes which are within his/her own range. Although this will come much later, it’s best for you to know now that as you undergo musical training, you have got to create a style of your very own that will distinguish you from other singers. People never mistake Christina Aguilera or Patti LaBelle for anybody else, do they? That’s because both singers have their own distinctive styles that, once heard, determine who is who. A good singer knows how to adjust his/her volume, voice tone, and overall musical expression to suit a specific musical style. Leah Crocetto, one of the emerging sopranos of a new generation, for instance, sings Verdi characters such as Desdemona beautifully; it won’t be the same if Crocetto sings the rhythm and blues ditties that are Alicia Keys’ staples. Versatility may be confused with being contradictory to having your own style. Good singers typically don’t have only one genre that they stick to strictly. 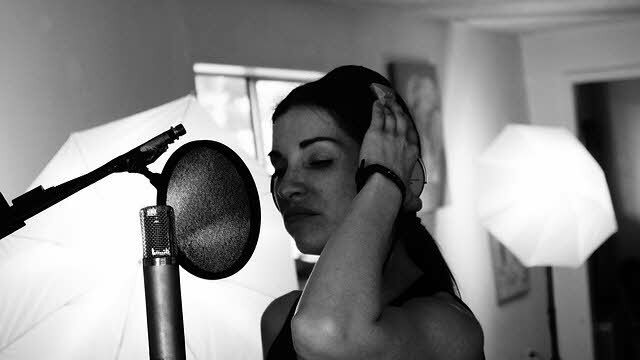 Adapting your voice to suit any musical style, in fact, is a characteristic of a good singer. If you have developed a singing style already with a lot of consistent practice, you would also have learned versatility with confidence. Keeping your good singing voice means taking care of it. Treating your voice badly can leave it vulnerable to so many things, the least of which is strained vocal cords. Warming up with vocal exercises before singing particularly difficult notes, learning proper breathing, avoiding reaching notes beyond your particular range are only some of the things that you should do to take care of your voice. Additionally, a good singer does not smoke or try not to, since smoking will take its toll on the voice and make it dry and hoarse. Excessive alcohol consumption does not sit well with taking care of a singing voice either. Simply put, you don’t abuse your good singing voice. You don’t have to be told of what happened to one of the most powerful singers in the last century, the late Whitney Houston. Regardless of whether you have just begun singing lessons or have already been singing for some time but want to improve, tracking your progress as a singer is one of the most important things you can do. Recording yourself singing a song regularly, and especially during a performance, will help you improve your vocal tone and give you ideas on new techniques. Becoming aware of yourself as a singer means you can be objective about what your strengths and weaknesses are. Hearing yourself on recordings can tell you not only if you are singing with the appropriate volume or right tone but allowing prompt correction of what you may have been doing too little/too much of. When you track your progress this way, you can improve at a much faster rate. This means that you have decided to take singing lessons which, truth be told, are not cheap. But considering that you get what you pay for, think of these lessons as an excellent long-term investment, especially if you want to hit the big time in the singing industry. The cost, of course, will depend partly on how long you will have to take these lessons and other variables which are listed below. The loftier your goals, the longer you need to study singing. While other goals may take less of your time, it shouldn’t mean these are not worth pursuing. Some people want to have singing voice perfection for weddings and karaoke bars and nothing more while some want to master singing to perform at the Vienna Staatsoper in Austria or nightly at The Blue Note in New York City. Singing is a skill unlike any other. Memorizing is considered a learned skill and once you become good at that you are able to learn as much as you can or want. Singing is altogether different. Being able to dish out facts from memory does not mean you can learn how to control your diaphragm at the same speed. It takes time for vocal cords to memorize and enunciate songs with grace and ease. The speed at which a person masters all of the skills involved in becoming an excellent singer depends on his/her learning rate. How fast or slow a singer learns these skills will eventually have an impact on how long or how short he/she will have to study singing. The kind of teacher the singer has, incidentally, will also have a bearing on the learning speed of the student. It cannot be emphasized enough that the kind of voice instructor you get makes a big difference in your success or failure later on as a singer. Look for a teacher who has completed a music degree from an accredited learning institution as well as extensive experience in either performing as a professional singer or teaching music and/or voice. A voice instructor who is registered and in good standing with the National Association of Teachers of Singing is a suggestion, but take note that a teacher with this credential will definitely cost money. If you are on a budget and would like to learn in a less expensive way, you can always opt to learn how to sing online. Again, choosing online lessons needs to be done with discretion. Will singing lessons online work for you? As mentioned, if you’re on a budget or aren’t able to find a good singing instructor or vocal coach learning singing online is your best bet. This is better than not taking any lessons or being stuck with a teacher you aren’t satisfied with. You have to remember that the rules covering face-to-face singing instruction apply to the online method as well. One of the most important things to consider when choosing online lessons is whether or not the provider is the most suitable match for your particular needs. Some will only be useful for beginners, others may work only for those in intermediate or advanced levels, yet others will teach only pop music, Bel Canto or jazz singing. Pick the cheapest online lessons blindly is not an option just because you’re on a budget. Make no mistake about it, taking a singing course online will have to be the right package as a whole. Sometimes it is much better to take fewer online singing lessons using a more expensive package than taking numerous sessions with less than useful features. 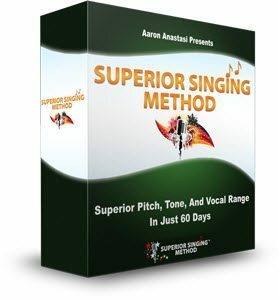 If you still haven’t heard of it, the Superior Singing Method (SSM) may be just what you are looking for. An online voice training and singing program, SSM was developed by renowned vocal coach Aaron Anastasi who, at 18, had not only written original songs but had recorded his first album. Anastasi had released full-length records, toured in the U.S. and parts of Europe as a singer. His long experience in the singing industry includes work in recording studios as an artist with many producers who are recipients of the Grammy Awards. He has degrees from Princeton and Lee Universities in New Jersey and Tennessee, respectively. And even while still studying, Anastasi continued writing songs and working on vocal techniques as well as putting together his very first band. The reason why more than one Superior Singing Method review has reported satisfaction with the product is that customers can relate to a “regular” guy like Anastasi who didn’t go to Julliard or trained with the Vienna Boys’ Choir, unlike other voice instructors, and learned entirely by consistent practice and constant improvisation of techniques and exercises. This difference between Anastasi’s acquisition of singing expertise and that of other singers works to his advantage because he went through what other aspiring singers are going through, including you. His SSM is easy to relate to because Anastasi has developed his product for regular men and women who, like him, are passionate about singing and determined to become successful at it. The SSM is all of six weeks, a step-by-step program that guarantees to take your singing ability to the next level. Everything that a beginning singer needs to know in singing can be found in the SSM product including vocal tips, song theory, how to improve your existing singing and exclusive training exercises with easy-to-follow instructions and easy-to-understand information. If you truly want to learn how to sing, then the Superior Singing Method Online Singing Course might just be what you need to achieve your dreams.